The National Human Rights Commission, NHRC has taken suo motu cognizance of a media report that weeks after a controversy erupted over the Gorakhpur tragedy, 52 infants have now been reported dead at Jamshedpur’s Mahatma Gandhi Memorial Medical College (MGM) hospital in Jharkhand. According to the reports the infants have died in a span of 30 days and the hospital Superintendent has reportedly blamed malnutrition for the deaths. The commission has observed that painful deaths of children and infants, in a large number, are a matter of concern. It has issued a notice to the Chief Secretary, Government of Jharkhand calling for a report in the matter within six weeks. It has also asked the Union Health and Family Welfare Ministry to take immediate action by way of issuance of suitable directions to all the States and Union Territories so that due to any negligence, such tragic deaths do not take place in any hospital in the country. 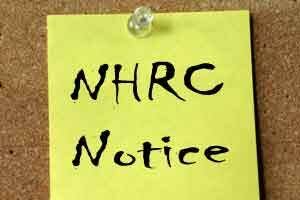 It may be recalled that the NHRC had recently taken cognizance of two similar incidents. One occurred in the Gorakhpur district of Uttar Pradesh, where more than 60 children and infants died at BRD Medical College and another was reported from the State of Chhattisgarh, where 4 infants died due to negligence by the oxygen plant operator at Ambedkar Hospital. The reports are awaited in both the incidents.